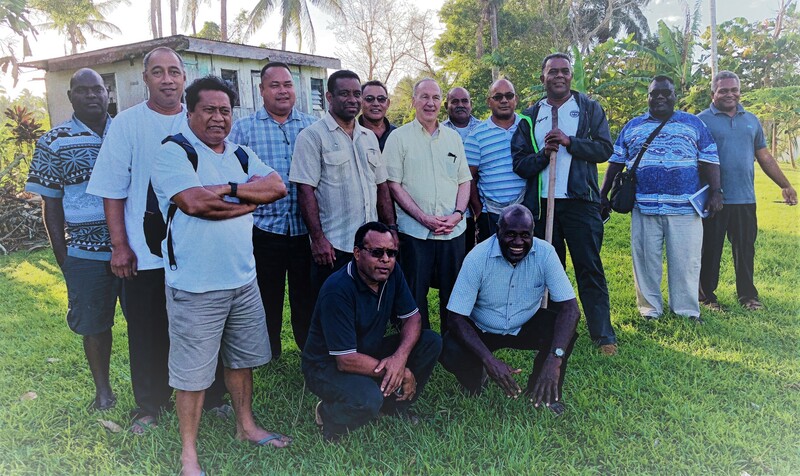 From the 30th June to 5th July the Oceania Council of Province was held at Raiatea. The Sector Delegates from the 10 Sectors of the Province gathered together with the Provincial Administration and with the presence of the Vicar General of the Society of Mary, Fr John Harhager sm, to do the following: to assist the Provincial in fostering the unity of the Province; to review and evaluate the implementation of the decisions of the Provincial Chapter and their effect on the life of the Province; to advise on those matters submitted to it by the Provincial; to reflect on the co-responsibility its members exercise in the Province; and to formulate orientations useful to the life of the Province. Presence in COP 2018: Fr Boniface Kevon sm (Bougainville); Fr Bill Herket sm (New Caledonia);Fr Vaioleti Tui'one sm (Papua New-Guinea); Fr Lutoviko Manu sm (Solomon); Fr Patolo Matiasi (representing Samoa Delegate); Fr Christopher Hifo sm (Tonga); Fr Benedict Manacen sm (Vanuatu); Fr Suni Halapio sm (Wallis-Futuna); Fr Donato Kivi sm (Formation); Fr John Harhager sm (Vicar General); Fr Setefano Mataele sm (Provincial); Fr Milikiade Rayalu (Vicar Provincial); Fr Justin Ratsi sm (Councilor); Fr 'Aisake Vaisima sm (Sector of Province, Councilor). Sitting L-R: Benedict Manacen, Emeliano Lasaqa, Milikiade Rayalu, John Harhager, Setefano Mataele, Justin Ratsi, 'Aisake Vaisima. Fr Donato Kivi sm, the Superior of Formation House, Marist College, has embarked on a mission to create a Marian-Ecological Centre and opening a door for people to learn that through a Marian spirituality, one can grow in awareness that our Marist Charism can provide an answer to our ecological crisis today. Based on Constitution 228: The spirit of Mary is the Spirit of Humility: “Intimate union with God, and the most ardent love of neighbor.” We can add a third dimension which is the care and love of all creation. The approach begins with the Spirit of Mary, the spirit of humility. Mary the humus, the soil of God from which the WORD was made flesh and became the new creation. In our Pacific context, the soil which makes up the land is vital to us. It is viewed as the extension of our people. In most of our cultures, it is understood as the vanua, fonua, fanua, , ‘enua, whenua, as we call it in the Pacific. A theology that accompanies a renewed understanding of "the land and the people" - is needed in Oceania. 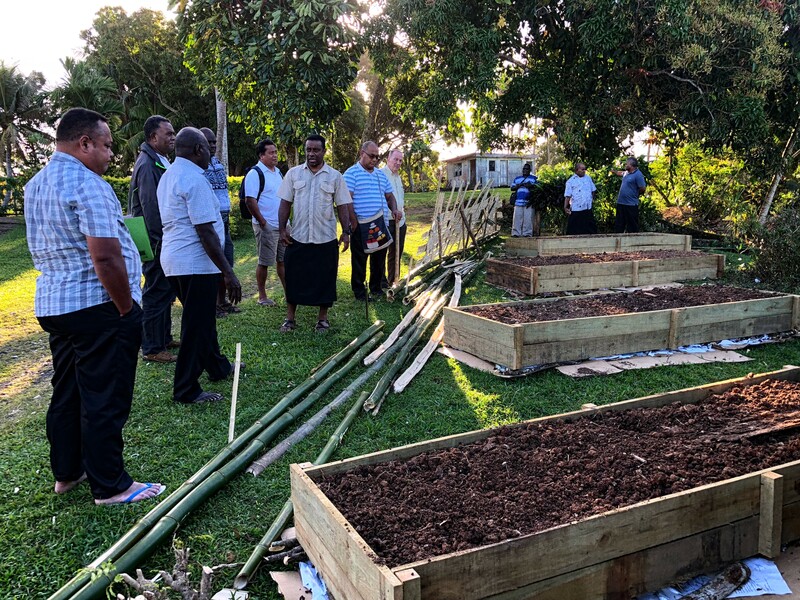 In Laudato Si Pope Francis wrote, “The human environment and the natural environment deteriorate together” – Isn’t this the broken vanua in a nutshell? As Oceanians what is our answer to this? What is our mission to a broken human environment and natural environment? What are the practical things to be done? Building an Eco-home- Following the design of famous Earthbag builder Nader Khalili. “A shovel, bags, a little barbed wire and the earth beneath are all that are needed to build with earth-bags.” Nader Khalili. Earthbag construction offers a broad possibility for ultra-low-cost, low-impact housing, especially in regions where timber, cement, steel, and fuel are scarce. Earthbag house is fireproof, can be exposed to hurricanes and other extreme weather. Solid as the earth, it holds excellent thermal mass and cannot rot or be eaten by insects. Using renewable energy for electrical power – Solar, wind or hydro. Using organic and permaculture technique by mimicking how organic materials provide ground cover and nutrients on forest floors. This technique helps individuals to work with micro-organisms heal the soil. It is more exciting then conventional farming because it implements a "no-dig" and "no-weed" method. It will teach farming without chemicals making a contribution to protecting human health and to restoring the diversity, integrity, and beauty of the eco-system which is our land.